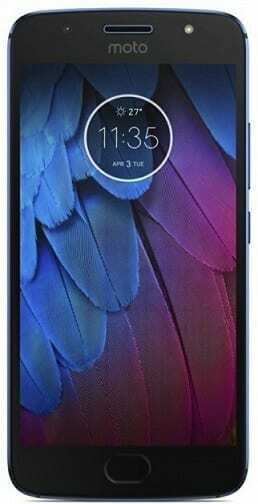 Unveiled August 2017, the Moto G5S is an upgrade on the G5 smartphone that was released earlier in the year. The mid-ranger parades an improved design, slightly bigger display, upgraded cameras and higher capacity battery. From a distance, the Moto G5S appears to be the same as the G5 in terms of looks. But it actually comes with a full metal body, dropping the plastic chassis with metal coating of the other device. This means the splash resistant phone should be able to take more beating. You will find here a 5.2-inch display, compared to the 5-inch unit of the earlier device. The resolution remains at Full HD, meaning that the Moto G5S will be less sharp on paper. However, you may not be able to easily tell the difference. The touchscreen boasts Motorola’s latest Night Display feature. The Moto G5s offers a beefier 16 megapixel camera, up from 13 megapixels. It has phase detection autofocus and other features that promise professional quality images. You still get the same 5 megapixel selfie snapper with a wide-angle lens. But it now offers flash feature. There is 32 GB of onboard storage space. You can expand this by up to 128 GB using a microSD card. On the inside, the Moto G5S offers an octa-core Qualcomm Snapdragon 430 processor – same as what the Moto G5 offers. This promises seamless experience performing basic tasks, based on evidence from the earlier device. RAM capacity stands at 3 GB. The new smartphone will boot Android 7.1 Nougat OS out of the box. This is expected to be close to the stock variant. Motorola (Lenovo) improves battery power from 2,800 mAh to 3,000 mAh. TurboPower gives you enough juice to last up to 5 hours in only 15 minutes of charging. For added protection, there is also a fingerprint scanner on the front, integrated into the Home button. Among the available connectivity options available on the Moto G5S is NFC, which enables you to use the Android Pay mobile payment service. Moto G5S is not yet available in Nigeria, Ghana, or Kenya. It is expected to begin its global launch in August starting at a price of $295. We currently have no data on pricing and availability for Nigeria, Ghana, or Kenya. When available, Moto G5S Price in Nigeria is expected to range from 115,500 Naira to 150,000 Naira at launch.